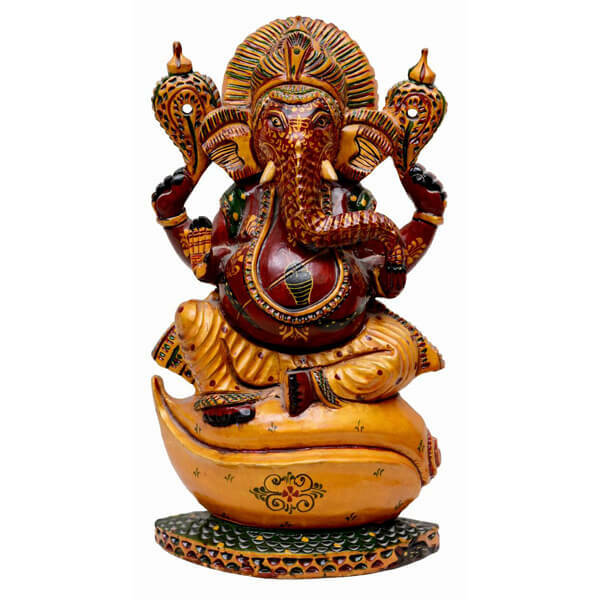 This is a teak wood Lord Ganesha statue, that is beautifully carved and painted using multicolor palatte. 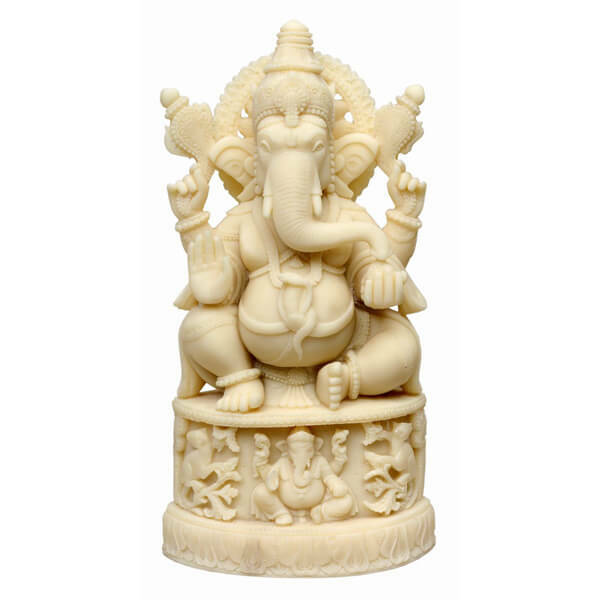 In this statue we can see Lord Ganesha sitting over a shell. Height of this statue is 10 inches. 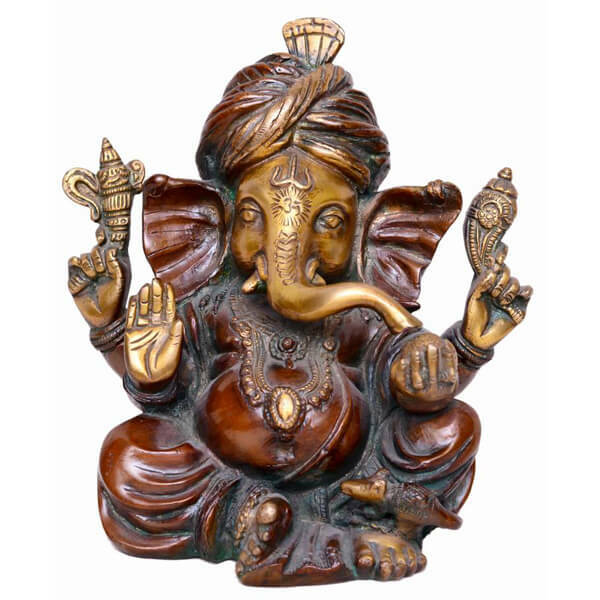 This is a statue of Lord Ganesha is a perfect gift for your friends and family on the occasion of Diwali. After carving the statue is polished with brown color. Modak and mouse are also being made on the statue. 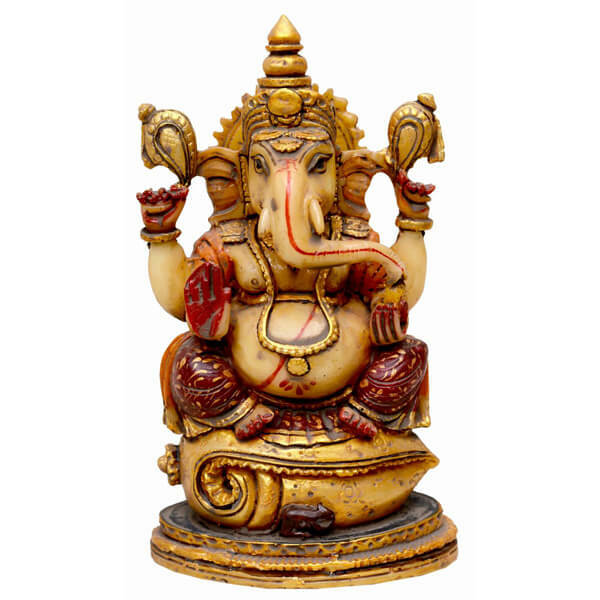 This statue of Lord Ganesha is a perfect piece to be gifted to your friends or family this Diwali. It can also be used for gifting on other occasions like Birthdays, Anniversaries, House Warming etc. You can also buy it as a showpiece for your own house. 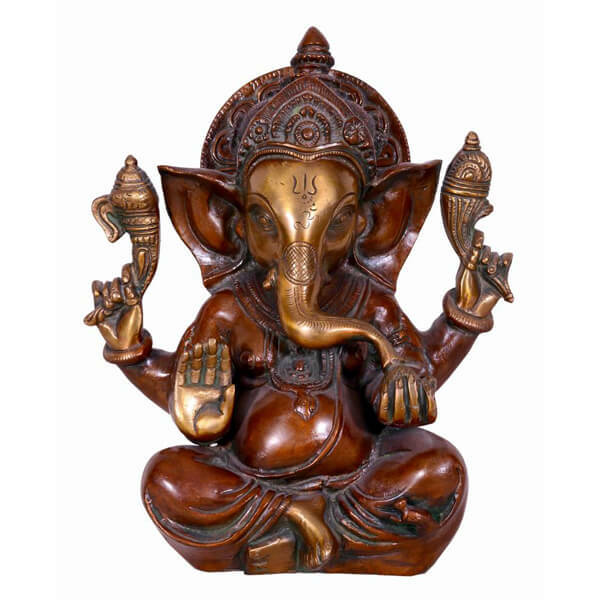 This is a gorgeous handcrafted statue of Lord Ganesha made from resin, perfect to be present in your temple this Diwali. Perfect finishing and painting is done over the statue. Along with Lord Ganesha, we can also see his companion mouse in this masterpiece. We specialize in durable, finest collection of statues that too at a very reasonable price. This is a designer piece of our manufacturing unit. The trunk support model needs to design under professionals. The jazzy painting over it makes to look captivating. 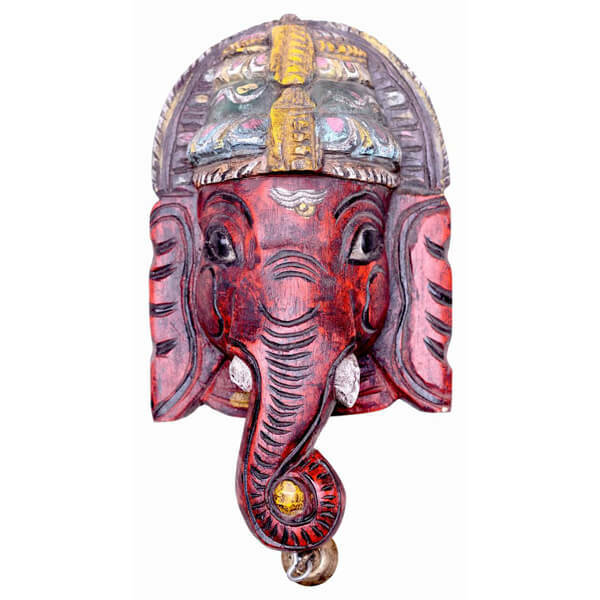 This mask of Ganesha is made from teak wood which is a considered to be best suitable material to prevent rotting effects like sun, snow, frost and rains. The oil and rubber content in teak makes it durable and strongest. 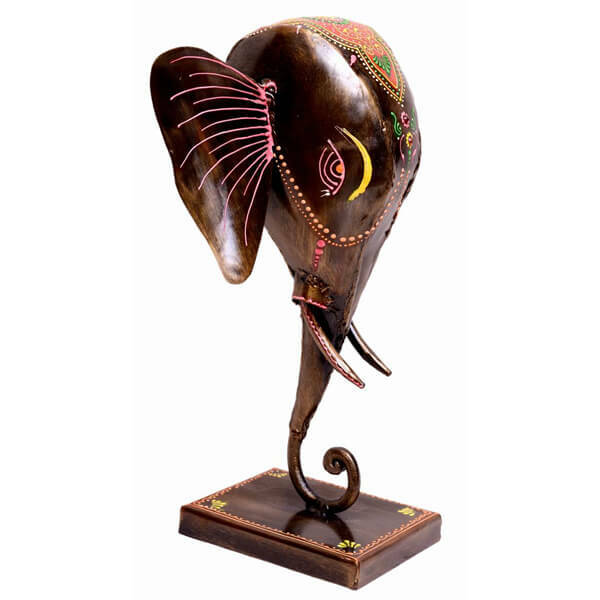 Lord Ganesha head symbolizes intelligence, wisdom and energy to deal with various problems. The shown mask miniature statue of Ganesha gives you this energy. It is made up teak wood which has oil and allows it to stay in rigorous weather conditions. 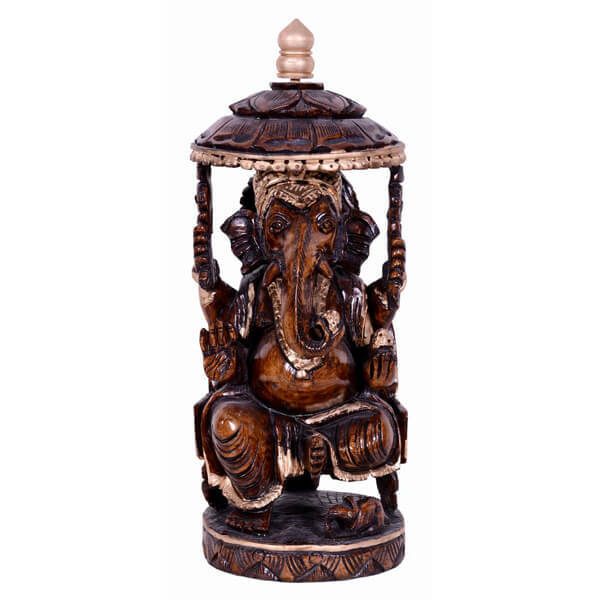 This is a very unique design of Lord Ganesha sitting on a swing with an antique green finish. 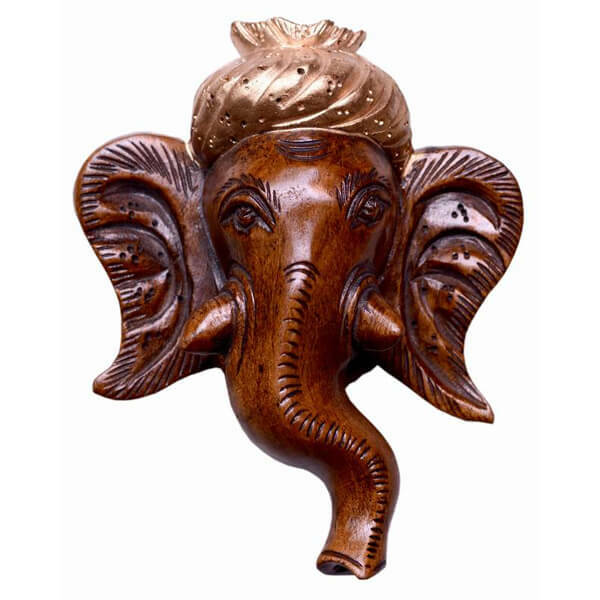 This can be used for religious purpose in your pooja mandir or can be used for decorative purpose in your house or office or hotels. 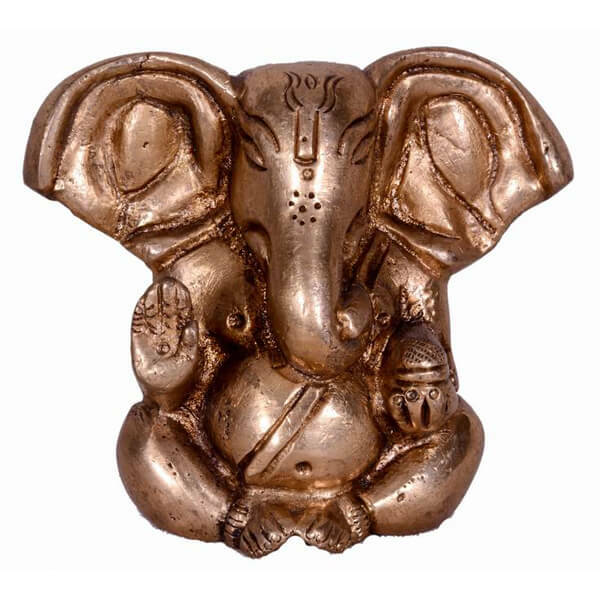 This metallic statue of Lord Ganesha is made from brass through sand casting techniques. The statue is being hand painted by our experienced artisans. It has a non-glossy finish. The statue is not only beautiful, but also elegant in appearance. This teak wood hand carved lion figurine statue is a very attractive and eye-catching product of Shopolics. 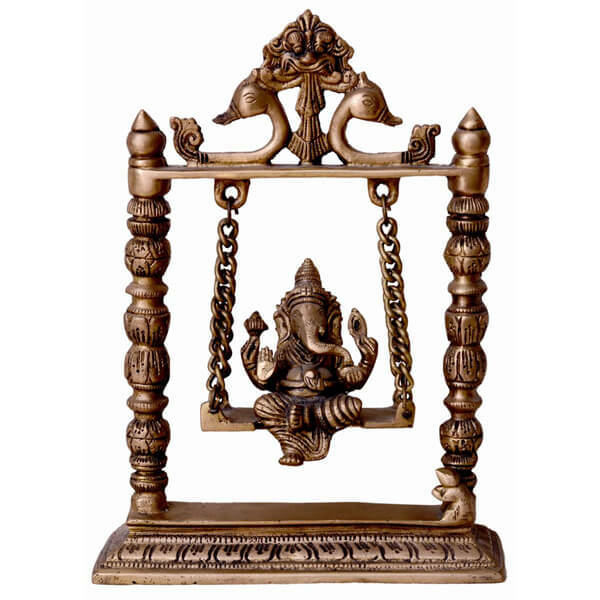 This metal figured Ganesha is manufactured by our handicraft team with full devotion and dedication which makes the sculpture look lively. 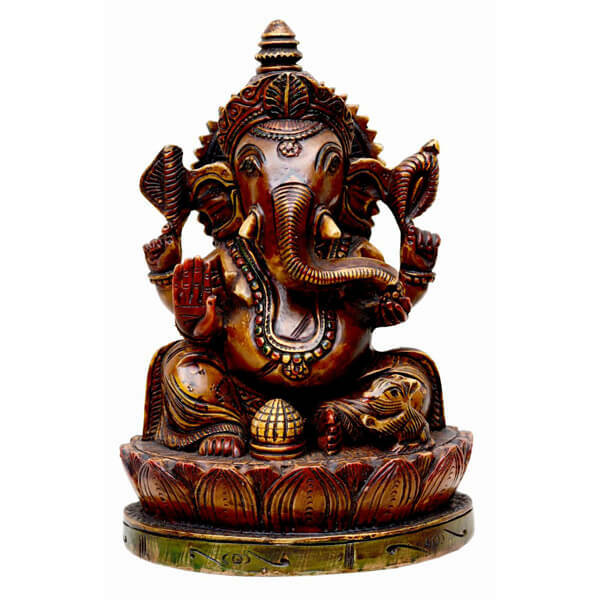 The first worshiped God according to Hindu mythology is Lord Ganesha, also known as Ganpati. 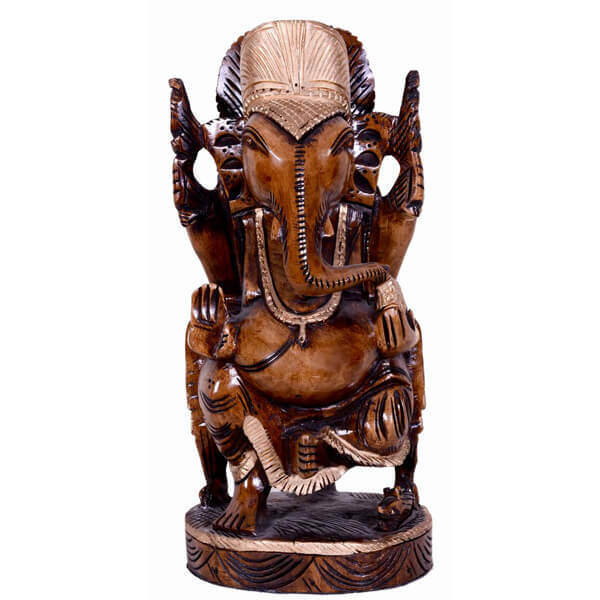 This sculpture of Ganpati is beautifully carved out on teak wood which illustrates the supreme handicraft work of our team.